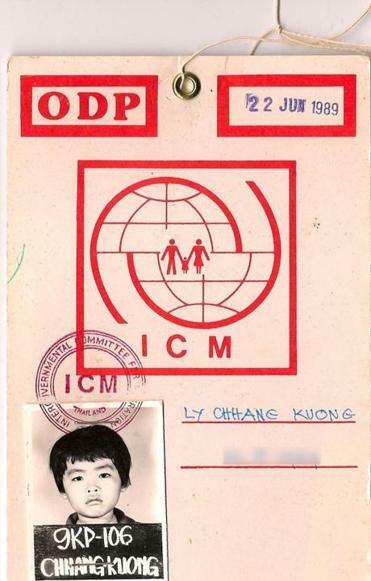 Kuong Ly’s identification card as a refugee. This week, in the wake of the terrorist attacks in Paris, the US House of Representatives and governors from across the country rallied for a single purpose: to deny Syrian refugees entry under the banner of “security.” This unfounded antirefugee sentiment is nothing new. But when Massachusetts Governor Charlie Baker staked his position opposing resettlement, the insult to me was deeply personal. I am a refugee, and Massachusetts has been the only home that I have ever known. I might not have spoken up about this issue when I was younger, because as a refugee, I did not always know that my voice mattered. But through the welcoming arms of everyday Massachusetts citizens, an education at Boston College, and, most recently, a law degree — I now know full well the importance of the laws and values that make this state and nation great, and I want to make sure that the voices and stories of refugees are heard in this debate. My family and I arrived at Boston Logan International Airport as refugees in the winter of 1990, with nothing but the clothes on our backs and the hope of a better life. My parents had survived the horrors of the Khmer Rouge regime in Cambodia and fled to Vietnam in 1979; I was born into the turmoil of a refugee camp in 1984. Before being resettled to Massachusetts, we were thoroughly processed and screened at a refugee processing center in the Philippines. The vast majority of refugees being processed were widows and children as a result of wars and conflicts in Southeast Asia, in which America played a role. And the vast majority of cases take years to make it to the United States, if ever. My family and I languished in refugee camps for a decade before we set foot on American soil. Our resettlement was only made possible by the goodwill of residents in Lexington. In the 1980s, a group of Lexington residents formed an ad-hoc committee called the Lexington Ecumenical Resettlement Coalition, or LERC, which consisted of individuals from Episcopal, Catholic, Methodist, Unitarian, Congregationalist, and Jewish congregations whose faith called them to assist Southeast Asian refugees. LERC sponsored and resettled my family along with 13 other Cambodian refugee families in the suburban town. They, along with community members, provided services and assisted our family, providing whatever they could to help us rebuild our lives. Growing up in historical Lexington gave me a unique insight into the backbone of our nation. In school, I learned this nation was founded and settled by those fleeing religious persecution in Europe. Raised in a community that prided itself on firing “the shot heard round the world” and on beginning the American Revolution, my family found refuge in the celebrated idea that this country was a safe haven for anyone who believed in democracy and freedom. 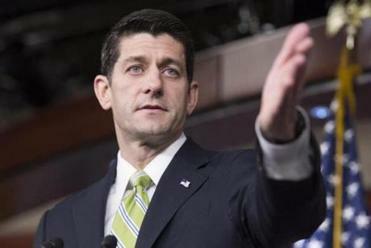 There appear to be no adults left in the GOP as politicians move to keep out Syrian and Iraqi refugees after the Paris attacks. Refugees are an easy target. Traditionally we lack a voice and political power. Given the racialization of our identities, it is easy to associate us with the very regimes and the very violence we attempted to escape. But this is wrong. We are not terrorists. In fact, not a day goes by when my family and I are not grateful to live in this country, particularly in this state. Governor Baker’s stance against Syrian refugees does not reflect the welcoming arms of the Massachusetts residents who helped my family resettle. Nor does it reflect the historical or current values of our Commonwealth. We are a beacon of light for so many beleaguered individuals fleeing war and persecution. Let us not extinguish that hope because of an unfounded fear. Governor Baker insults us when he uses fear and the plight of refugees for political gain. It is not only a legal, but also a moral obligation to welcome refugees to this country, and to the Commonwealth, as we have done in the past — for me, for my family, and for all of the refugees who call Massachusetts home. Kuong Ly is a refugee from Cambodia who was resettled to Lexington in 1990. He is a graduate of Boston College, UCLA School of Law, and a recipient of the Paul & Daisy Soros Fellowships for New Americans. He currently resides in Woburn.